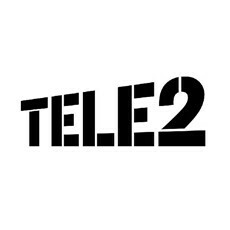 Tele2 AB (Tele2) today announced that Tele2 M2M Global Solutions will provide connectivity solutions to CSL DualCom Ltd and its customers within security, healthcare and general M2M applications across Europe. CSL DualCom provides a platform and products that enable the reliable delivery of alarm signals from protected premises to the alarm receiving center. CSL DualCom pioneered the move from wired to wireless technology in the electronic security industry, as the inventors of dual signaling, to become market leader. Dual signaling combines telephone line signaling with GPRS mobile technology. The partnership with Tele2 enables CSL DualCom to optimize the processes of deploying and managing connectivity solutions, from manufacturing all the way to the end user. “We are delighted that CSL DualCom has chosen Tele2 as the supplier for this expansion”. Tele2 M2M Global Solutions provides CSL DualCom with seamless connectivity and connectivity management solutions across Europe, to support their expansion. The contract runs for 3 years and will add tens of thousands of connected devices to CSL DualCom’s significant base.